I want to stress that sensitivity is absolutely personal choice, people are physically different and have different reaction times. This guide is meant to inspire you to find the value that fits you personally. If you’re new to FPS or PC gaming in general, chances are you are not very comfortable with your mouse. You probably have no gaming mouse and a sensitivity much too high. DPI (or CPI): How sensitive your mouse is. It stands for Dots Per Inch, so a higher number will move your cursor more dots per inch of real mouse movement. Sensitivity: How quickly your cursor or your crosshair moves. This is both a common term for the general speed and also for the Multiplier. In Windows that’s regulated by Pointer Speed. In Overwatch that’s regulated with the Sensitivity Slider. eDPI: Effective DPI. A useful way to think of general sensitivity. It’s simply (OW Sens * DPI). So 800DPI/5sens would be 4000eDPI. 1600DPI/2.5sens is the same, 4000. It’s not the same as eDPI in other games. What should I set my sensitivity to? Sensitivity is a personal thing, you’ll need to go on a journey of self-discovery. In common DPI that’s 800dpi/6 sens. You can use this calculator to find out how to get there. Note that many mice perform best under ~2000 DPI! Why this sensitivity? It’s about the average of professional Overwatch players. 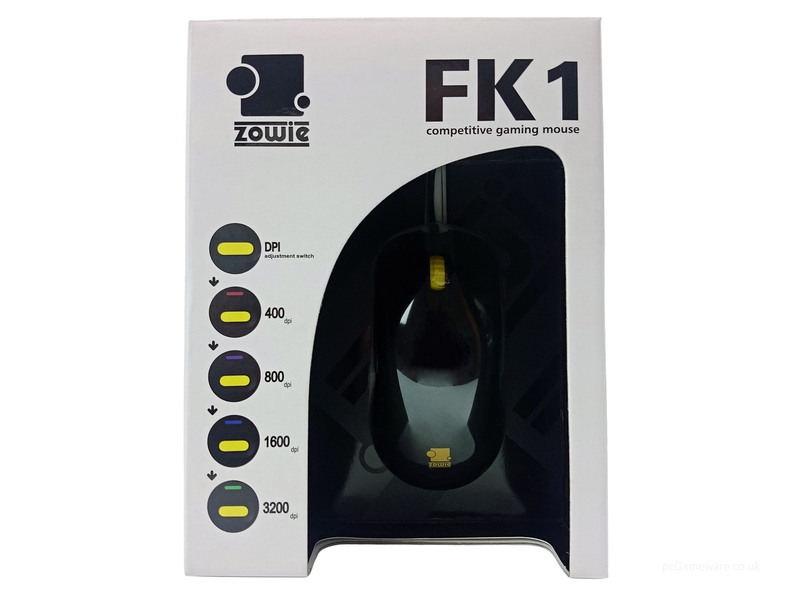 Many play lower, many higher but it’s a safe sensitivity to first experience the rough speed they are moving their mouse with. It’s worth mentioning that some think lowering the sensitivity down in increments is an easier way to get used to it. I disagree, I think jumping into the cold water and approaching it straight away will be faster. How do I change my sens? You can use the slider or enter a number. You can also pick a hero and customize sensitivity for individual ones! How do I change my DPI? This depends on the mouse, Windows doesn’t have options for it. Logitech, Steelseries, CoolerMaster, Zowie, Corsair. Other mice have a DPI switch which you can press to change your DPI without any software. Some mice, cheap or office ones can’t change their DPI. How do I see my mouse’s DPI? To check out the DPI of your mouse you’ll have to look it up. Consult the box it came in or google! If all fails there is this test. This sensitivity is way too low! I can’t move! If you played at a high sensitivity like 1600dpi/30sens before, of course you’ll feel this change. 4800eDPI might be a competitive sensitivity but it might not be the right one for you. If you don’t have enough space to move your mouse around well enough maybe you should use 7000eDPI. Or maybe 10,000. Go to the Practice area and try to find the minimal sensitivity with which you can move properly. Why do I even want a low sensitivity? Because pro players do it, copy them! I’m joking of course, but there is a reason. Many pros started the game with a higher sensitivity and ended up lowering it. To put it simply: It is easier to be more consistent and precise with a lower sensitivity. Small adjustments are more managable this way. Any tremor or inaccurate movement with your hand will have a much bigger impact at a high sensitivity, making it more unforgiving and harder to control. This has little to do with sensitivity but when you’re getting started, best to get rid of those right away! Keep your Crosshair where you expect the enemy will be! Don’t aim at the ground. Inconsistency is caused by Posture and Grip. Focus on those and don’t change them. Click every shot instead of holding down the button. Of course you’ll want to hold down fire with autofire characters like Soldier or Tracer. Aim before you shoot. Don’t start shooting and then adjust. Make sure to have your crosshair over the enemy when you hit the button. Be conscious of your shots. Don’t autopilot. Remind yourself. How much space do you want to use? Aka: Buy a bigger mousepad. A big mousepad is certainly more comfortable. You don’t need to pick up and reposition your mouse as often and you can go for bigger swipes. Common advice is that going from one end to the other of your mousepad should turn you 360° ingame. Of course there are players who can’t even do a 180° turn this way so it’s not a golden rule. How do you aim? Do you reposition a lot? Do you think you want more space and can make more use out of it? You can adjust your sens accordingly. Lower your sens.. or are you going too low? A low sensitivity allows you to make smaller adjustments with higher precision. It’ll reduce any jitter you might experience. Hitscan pro’s seem to opt for 4000eDPI usually but many go even lower. As long as you don’t feel limited in your aiming speed you can and probably should go lower. When you start feeling limited you should ask yourself if you can overcome this. And if at some point you can’t – well, that’s where it gets interesting. Players like Mendo, Zombs or Ryujehong use very low sensitivities. Clearly there is a tradeoff you can take, higher accuracy for slower movements. In a game like Overwatch this is an especially diffult decision since enemies can come from any angle and you’ll often have to turn quickly. As long as you can perform a 180° turn quickly you’re fine. Everyone has a different hand shape and dexterity. Some are almost surgeons, others not so much. Some can be more precise than others with a higher sensitivity. Finding out if you are performing better with a different sens is difficult since it takes time to build muscle memory. Be aware of the factors I already mentioned if you are trying new things out. Professional players who play Projectile heroes usually have a higher sensitivity than those who focus on hitscan characters. The difference isn’t huge, something like 5600eDPI to 4000eDPI. It makes sense that a character like Genji or Pharah has to do larger movements quickly and a higher sensitivity helps with this. Reinhardt and Winston aren’t aim reliant at all. However they are reliant on quick flicks to jump around or readjust the shield. A very high sensitivity can be helpful here. How do I start using my arm more? Just do it! There’s no trick to it besides practice. You can wrap a bandage around your wrist or grip it with your other hand to immobilize it and force yourself. It’s important to do this several times over a long timespan. Overshooting and Undershooting does not mean you need to lower/raise your sensitivity. I lowered my scoped sens from 38 to 28 and I kept overshooting. That was because I simply wasn’t used to the new sensitivity. Aim is about consistency and that is built with muscle memory over time. Broadly speaking, mouse sensors perform better at lower DPI values. Newer architectures have improved overall performance across the range of settings, but in general you do not get better performance by maxing DPI and decreasing sensitivity in-game. Ultimately the best setting is the one that feels good to you, because you’re the one who has to use it. Friction is a factor to consider with your sensitivity. If you don’t have good control over your mouse and too much glide you might want a lower sensitivity so overshooting isn’t as big an issue. Moving with your wrist has less inertia than moving with your arm. So while you can make accurate strokes with your arm you might be quicker to track an enemy if you use your wrist. Because of that reactivity you might want a higher sens even though you sacrifice accuracy. I’d consider this as a Tracer player who has to track and make quick adjustments. Players like SoOn and Surefour are fantastic Tracers with a relatively high sens. Many other Tracers still prefer low. It’s up to you, raising your sensitivity is a very difficult decision. A more accurate term for this phenomenon would be ‘angular granularity’. Basically if you have 400dpi your cursor will move 400 steps per inch of real movement. These steps are measured in angles and multiplied by your ingame sensitivity. A higher sensitivity means that the steps you move your cursor with are less fine than with a lower sens. So theoretically 40 DPI and 100 Sensitivity moves your crosshair at the same speed as 800/5 but you will hit only 40 steps on the way instead of 800. Because of this interaction sometimes you can’t address every pixel on your screen depending on the resolution. Why is this not a problem? Unless you have a very high sensitivity of 15 or more you don’t have to worry about pixel skipping. Nobody has pixel-perfect aim, nor do you need it in Overwatch. There is the very unlikely case that because of pixel skipping your aim will be one pixel off the enemy’s hitbox but for every time this happens you’re just as likely that a shot that would’ve missed by a pixel hits them instead. Again, aim is calculated in angles. If you have a 800/12 sensitivity you won’t skip pixels on a 720p monitor but will skip them on anything higher. That does not mean your aim will be worse on a higher-resolution monitor – you can address the exact same number of angles on either. If pixel skipping truly was an issue then professional players would all play with a very low sensitivity and a very high-res monitor.